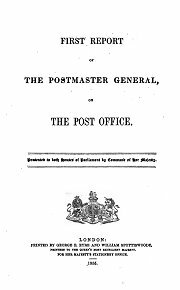 These reports were produced annually from 1855, and contain summaries of the main postal developments of the preceding year, together with postal statistics, and often unusual "stories". They have information which is not easy to find elsewhere. If you have the missing report in the sequence below (No. 52) or indeed later ones from No. 56 onwards, we would be very glad to have them!